At SCR Hosting, we value our customers and wish to provide them with a positive experience. To offer you the best service possible, all customers need to follow the same rules and guidelines. These policies are intended to make SCR Hosting's Service available to all our customers as consistently and efficiently as possible. All services may be used for lawful purposes only. Through SCR Hosting's Service, you may have access to chat areas, bulletin boards, web pages, email, or other services that enable you to send or post materials ("content") and make that content available to others. You must not submit, publish, or display on the Network any defamatory, inaccurate, abusive, obscene, infringing, or threatening content. In addition, you may not submit, publish, or display any content that violates any International, US Federal, State, or Local law. You are solely responsible for the content you make accessible through the SCR Hosting . Network. You may not use the Service to assist any other person or entity to violate any International,Federal, State, or Local laws, ordinances, or regulations. SCR Hosting is not obligated to monitor the network to examine available content. You hereby acknowledge that if we are made aware of content that is determined to be, in its sole discretion, unacceptable, undesirable, offensive, indecent, obscene, excessively violent or otherwise objectionable, SCR Hosting has the right, but not the obligation, to edit, remove or deny access to such content. SCR Hosting may disclose any content or records concerning customer's account as required to satisfy any law, regulation, governmental request or court order. Customers may not use the SCR Hosting Network with an attempt to circumvent user authentication or security of any host, network, or account. This includes, but is not limited to, accessing data not intended for the customer, logging into a server or account the customer is not expressly authorized to access, password cracking, probing the security of other networks in search of weakness, or violation of any other organization's security policy. Customers may not attempt to interfere or deny service to any user, host, or network. This includes, but is not limited to, flooding, mail bombing, or other deliberate attempts to overload or crash a host or network. SCR Hosting will cooperate fully with investigations of violations of systems or network security at other sites, including cooperating with law enforcement authorities in the investigation of suspected criminal violations. Users who violate system or network security may incur criminal or civil liability. Each SCR Hosting account comes fully equipped with its own pre-configured CGI-Bin. Customers are free to use any CGI-scripts provided with their account or add any additional ones they require. Any CGI-scripts deemed to be adversely affecting the server performance or the network integrity may be shut down without prior notice. CGI-script sharing with domains not hosted by SCR Hosting is not allowed. SCR Hosting prohibits its customers from installing outside chat rooms on their domain, as these tend to be a resource problem. SCR Hosting does provide its customers a choice of Java chat rooms to choose from for a nominal monthly charge. These chat rooms were designed to meet the growing needs of customers and function without hindering the performance of the servers for others. Background daemons in general are prohibited. SCR Hosting will consider requests on a per-application basis. If allowed, extra charges will be assessed based on resource requirements for system maintenance. SCR Hosting currently prohibits its customers from operating IRC or IRC Bots on any of the servers in the SCR Hosting Network. You must not use the SCR Hosting Network, SCR Hosting equipment or any SCR Hosting email address in connection with the transmission of spam, flames, mail bombs, or substantially similar, unsolicited email messages. Your domain may not be referenced as originator, intermediary, or reply-to address in any of the above. This prohibition extends to the sending of unsolicited mass mailings from another service that in any way implicates the use of the SCR Hosting Network, SCR Hosting equipment or any SCR Hosting email address. 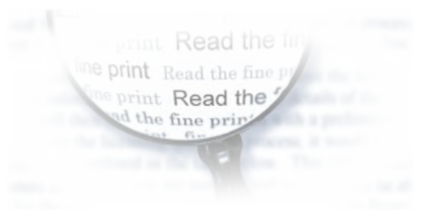 A message is considered unsolicited if it is posted in violation of a newsgroup charter or if it is sent to a recipient who has not requested or invited the message. For purposes of this provision, merely making one's email address accessible to the public will not constitute a request or invitation to receive messages. If you are found to have spammed, without warning, SCR Hosting reserves the right to disable your domain/terminate your account. In addition, SCR Hosting may impose a £165 ($100) penalty for each spam policy violation. SCR Hosting solely reserves the right to refuse or cancel service to known spammers. Lastly, SCR Hosting reserves the right to determine what violates this policy. As such, any violation may result in cancellation of services without refund. You may not submit, publish, or display any content that violates any International, US Federal, State, or Local law. You are solely responsible for the content you make accessible through the SCR Hosting . Network. You may not use the Service to assist any other person or entity to violate any International,Federal, State, or Local laws, ordinances, or regulations. SCR Hosting provides Technical Support to all its clients. However, we do not provide support to your clients or your resellers. SCR Hosting can provide limited Technical Support or help with programming, HTML code, custom programming and 3rd Party Software, whether installed or pre-installed on your computer or our server at additional cost. Material accessible to you through SCR Hosting's Services may be subject to protection under International, the United States or other copyright laws, or laws protecting trademarks, trade secrets or proprietary information. Except when expressly permitted by the owner of such rights, you must not use the SCR Hosting Service in a manner that would infringe, violate, dilute or misappropriate any such rights, with respect to any material, which you access or receive through the SCR Hosting Network. If you use a domain name in connection with the SCR Hosting Service or similar service, you must not use that domain name in violation of any trademark, service mark, or similar rights of any third party. SCR Hosting reserves the right at its sole discretion to refuse or cancel service. Violation of any of SCR Hosting's Rules and Regulations could result in a warning, suspension, or possible account termination. Accounts may be terminated for any or no reason at all without any prior notice to the customer. Accounts terminated due to policy violations will not be refunded. (3) copyright, trademark patent, or other intelluctual property violation and any defective products sold to a customer fromSCR Hosting's Services. You, the Customer agrees that the waiver of any breach, or the failure to enforce these terms and conditions, at any time, shall not in any way affect, limit, or waive the right of SCR Hosting to thereafter to enforce and compel strict compliance by the other party regarding any of these terms and conditions. SCR Hosting's entire liability and Customer's exclusive remedy shall be the refund of up to thirty (30) days of service. 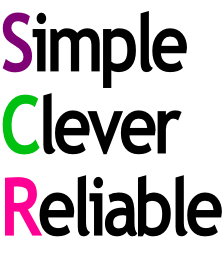 YOU, THE CUSTOMER ACKNOWLEDGES AND AGREES THAT THE CONSIDERATION WHICH SCR Hosting IS CHARGING HEREUNDER DOES NOT INCLUDE ANY CONSIDERATION FOR ASSUMPTION BY SCR Hosting OF THE RISK OF CUSTOMER'S CONSEQUENTIAL, PUNITIVIE, SPECIAL OR INCIDENTAL DAMAGES WHICH MAY ARISE IN CONNECTION WITH CUSTOMER'S USE OF THE SOFTWARE AND DOCUMENTATION. ACCORDINGLY, CUSTOMER AGREES THAT SCR Hosting SHALL NOT BE RESPONSIBLE TO CUSTOMER FOR ANY LOSS-OF-PROFIT, INDIRECT, INCIDENTAL, SPECIAL, OR CONSEQUENTIAL PUNITIVE DAMAGES ARISING OUT OF THE USE OF THE SERVICE OR DOCUMENTATION. Any provision herein to the contrary notwithstanding, the maximum liability of SCR Hosting to any person, firm or corporation whatsoever arising out of or in the connection with any license, use or other employment of any service delivered to Customer hereunder, whether such liability arises from any claim based on breach or repudiation of contract, warranty, tort or otherwise, shall in no case exceed the actual price paid to SCR Hosting by Customer for thirty (30) days of service whose license, use, or other employment gives rise to the liability. The essential purpose of this provision is to limit the potential liability of SCR Hosting arising out of this agreement. The parties acknowledge that the limitations set forth in this agreement are integral to the amount of consideration levied in connection with the license of the services and documentation and any services rendered hereunder and that, were SCR Hosting to assume any further liability other than as set forth herein, such consideration would of necessity be set substantially higher. SCR Hosting offers a money back guarantee on our web hosting services for the first 30 days of service. If you are not completely satisfied with our web hosting services within the first 30 days of service provided, you will be given a full refund of the hosting amount excluding setup fees, domain registration fees and overages. All payments after the first 30 days of service to SCR Hosting are non-refundable regardless of reason or usage. Any incorrect, overcharges or billing disputes must be reported within 60 days of the time the charge occurred. If you dispute a charge to your credit card issuer that, at SCR Hosting's sole discretion is a valid charge under the provisions of the TOS, you agree to pay SCR Hosting an "Administrative Fee" of £165 ($100) per dispute. You, the Customer agrees to notify us of request to cancel at least 15 days prior to the next bill date. When cancelling two (2) or more dedicated servers within any given 30 day period, customer agrees to notify us of request to cancel at least 30 days prior to the next bill date. When cancelling ten (10) or more dedicated servers within any given 30 day period, customer agrees to notify us of request to cancel at least 60 days prior to the next bill date. We have a zero tolerance for abusive language and/or abusive behaviour towards our company and/or service we provide. Any customer deemed at our sole discretion to be abusive to our company and/or service we provide and/or our staff will result in immediate irrevocable account termination without any refund. Furthermore, posting negative feedback on any public forum about our company and/or our employees before submitting a ticket to our 'Feedback' department to discuss your issue will result in immediate account termination without any refund. Although it is your right to post feedback without discussing your issue with us first, it is undoubtedly unfair and unprofessional not to, which is not the type of client we want to deal with. We have the utmost respect for all of our clients, and are more than fair with all of our clients. We will do anything and everything possible to keep all of our clients satisfied. But in the unlikely event you are not satisfied, all that we ask is to discuss your issue with our 'Feedback' department first. If either Party shall be prevented from performing any portion of this Agreement (except the payment of money) by causes beyond its control, including labour disputes, civil commotion, war, governmental regulations or controls, casualty, inability to obtain materials or Service(s) or acts of God, such Party shall be excused from performance for the period of the delay and the time for such Party's performance shall be extended for a period of time equal to the duration of such delay. Notwithstanding anything to the contrary contained in these terms of service and policies, SCR Hosting shall not be liable in any manner to the extent its performance is delayed by any event or cause beyond the control of SCR Hosting including without limitation, fire, explosion, storm, flood, electrical blackout, heat or col, war, rebellion, terrorist act, insurrection, riot, strike, breakdown or accident to machinery, or compliance with the order of any governmental authority. SCR Hosting WILL NOT BE RESPONSIBLE FOR ANY DAMAGES YOUR BUSINESS MAY SUFFER. SCR Hosting MAKES NO WARRANTIES OF ANY KIND, EXPRESSED OR IMPLIED FOR SERVICES WE PROVIDE. SCR Hosting DISLAIMS ANY WARRANTY OR MERCHANTABILITY OR FITNESS FOR A PARTICULAR PURPOSE. THIS INCLUDES LOSS OF DATA RESULTING FROM DELAYS, NON-DELIVERIES, FAILED BACKUPS, FAILED HARDWARE, WRONG DELIVERY, AND ANY AND ALL SERVICE INTERRUPTIONS CAUSED BY SCR Hosting AND ITS EMPLOYEES, DATACENTER, CONTRACTORS. SCR Hosting RESERVES THE RIGHT TO AMEND OR UPDATE THESE POLICIES WITHOUT NOTICE. Failure to follow any terms and conditions may result in account deactivation or termination without notice. SCR Hosting furthermore expects that its customers who provide Internet services to others will fully comply with all applicable laws concerning the privacy of online communications. A customer's failure to comply with those laws will violate this policy. Finally, SCR Hosting wishes to emphasize that in accepting services, customers indemnify SCR Hosting for the violation of any law or SCR Hosting policy, that results in loss to SCR Hosting or the bringing of any claim against SCR Hosting. This means that if SCR Hosting is sued because of activities of the customer that violate any law, or this policy, the customer will pay any damages awarded against SCR Hosting, plus costs and reasonable attorneys' fees. We at SCR Hosting ensure that all personal information submitted to us in processing your order and for billing purposes, etc., will be kept strictly confidential and used solely by SCR Hosting, its representatives, independent contractors, and employees, for the purposes for which it was intended, for the benefit of the subscriber and which comply with all safeguards under International, Federal and applicable state law. We agree not to share or release such information to any individual, entity, or third party, without the consent of the subscriber, except as required by law, regulation or governmental authority. All information provided to us by the subscriber is properly stored and handled at all times by authorized SCR Hosting staff members only.